This class will include a guided meditation. 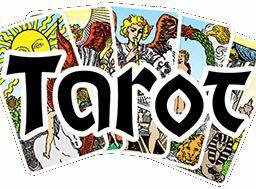 On Wednesday afternoons we will be holding workshops on the Tarot. You won't need any experience, you certainly don't need to be psychic, and you won't even need Tarot cards at first, but you will need to be open-minded and to be willing to work with others. You will also need to be willing to be sociable and enjoy the class. Equipment needed: Notebook and pen, a digital camera or smartphone for taking photos of reading and interpretations, Tarot cards and associated book if you have them (If you haven't, don't rush and buy, wait and look at what we are using first). You will also need to bring a vegetarian lunch for yourself - grounding is very important when working with the Tarot and eating lunch towards the end of the class is a great way of doing just that. Bringing a glass of wine (one only!) or a beer to drink with the food is encouraged. By the end of this course you will have all the tools and information you need to give elementary Tarot readings for yourself and others. Using the Tarot (Part 2 : 8 weekly classes) will include uses of the Tarot in your own personal and spiritual development. David has worked with the Tarot since 1997. If you have any questions, 07941-989887 and leave a message.